Long gone are the days when we need to bring in developers to create customized workflows to optimize our business processes. 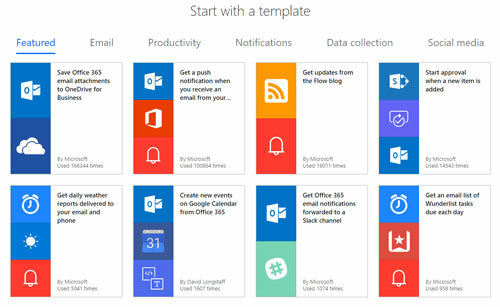 Today, Microsoft makes it easy to automate your business processes using Microsoft Flow. The best part about Microsoft Flow is that you don’t have to be a “power user” to create automated workflows between your favorite apps and services. Flow can run manually based on user actions, based on a cloud or on-premise event, or based on a predefined schedule. And with Microsoft Flow being a cloud-based tool with its own API, you can even create workflows across multiple applications and services. The most common use for Microsoft Flow is sending notifications. 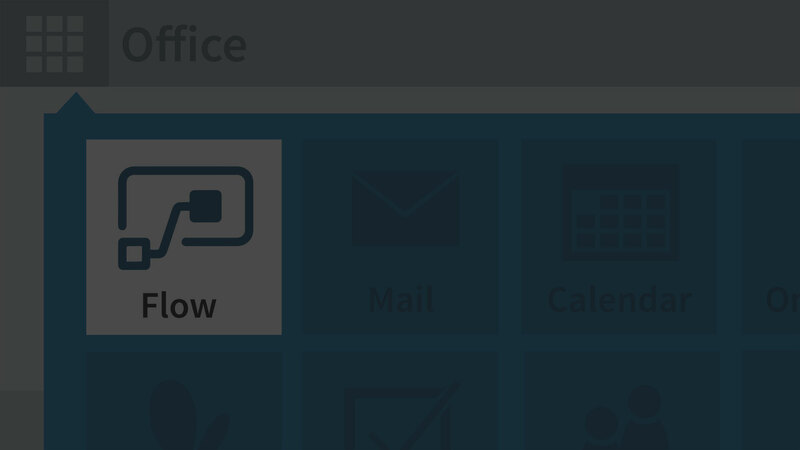 But Flow isn’t limited to just sending out alerts or emails. Flow can be customized to do simple things, such as posting tweets to Twitter or moving documents to different locations within or across organizations, or to do more complex things, such as creating lengthy approval processes or custom actions. Currently, there are more than 60 templates that you can leverage in order to jump start the creation of your workflows. 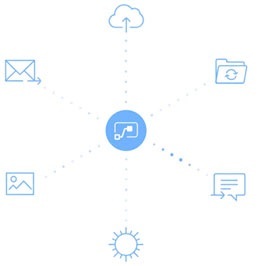 And Microsoft Flow is equipped with almost 200 services and more than 150 data sources, making it easy to connect and interact with different web services and applications, whether they are in the cloud or on premises. Click here for the list of all Microsoft Flow connectors currently available. Microsoft Flow is available in Dynamics 365 for Sales, Operations, and Finance. It is simple to integrate data from one part of Dynamics to another. Since October 2016, all SharePoint Online users are able to use Flow to automate processes with SharePoint lists and libraries. Flow can also work with PowerApps, Dropbox, OneDrive, Salesforce, etc., depending on your business needs. Customers with Office 365 licensing can use Flow for free with unlimited flow creations and up to 750 runs per month. For those needing greater usage, there are plans that start at $5 per user per month. To view more details about Microsoft Flow pricing, click here. With the most recent release (December 20, 2017), Microsoft Flow Analytics is available in all Microsoft Flow regions. 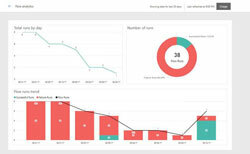 Microsoft Flow Analytics allow users to have more insight into the health of flows running within their environment. And there will be many more features added to Flow in the future to make it even more robust. Last but not least, users can create and monitor Flow on a desktop application or through a mobile app available for Android, iOS, and Windows Phone. Click here to view the most recent release for Microsoft Flow. Ready to learn more about Microsoft Flow? Contact the Imaginet Team to learn more about Microsoft Flow and what we can do to help you and your teams successfully utilize Microsoft Flow to optimize your business processes today. Sydney is a SharePoint Consultant at Imaginet and has over 11 years of experience in design, development, and implementation of web sites and web applications using SharePoint, .NET framework, and ASP.NET technologies. She has expertise in customizing SharePoint responsive design, SharePoint custom app, web parts, master pages, page layouts, list and site templates, content types, metadata, forms, workflows, features, events, actions, web services for both SharePoint Online and on-premise solutions.